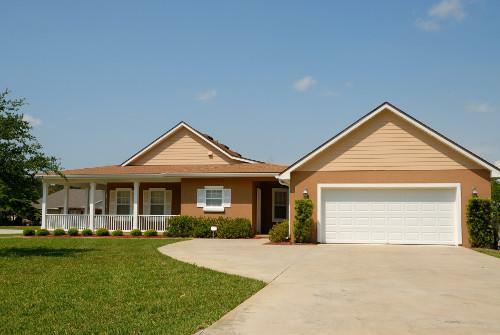 Concrete driveways are both incredibly durable and attractive. Concrete has long been one of the most popular building materials available throughout the world. Concrete is extremely durable and actually gets stronger over time, often enduring for as long as a hundred years. Concrete is also a very cost-effective and sustainable building option. Regardless of the type of concrete installation that you need, you can always count on the experts at C. Jenkins Construction. Our team consists of highly experienced professionals and we'll work closely with you in order to provide an installation that meets your budget and exceeds your expectations! Contact us today to schedule your estimate! Grading - Every good concrete installation starts by ensuring that there is a good base. This normally involves flattening, cleaning, and compacting the ground where the concrete will be poured. Sub-Base Installation - Once the area has been properly graded a sub-base needs to be installed. This sub-base normally consists of gravel and will be compacted as well after it's placed. Forming - With the ground prep work done, the contractor will then place the forms for the concrete. This will make the shape of the concrete visible and it is a good idea to use this phase as a chance to make any changes before the actual concrete is poured. Concrete Pouring - With the form laid out and approved, the actual concrete can be poured into the form. Finishing -With the actual concrete laid, the contractor can make the last finishing touches. At this point the concrete is trowelled, any coloring or stamping occurs, and a quality sealer is applied. Curing - One of the few downsides of concrete is that it can take a bit to fully harden. In fact, it takes 28 days to completely harden. However, the first 48 hours are the most important and, generally, you can start using your driveway or walkway within 3-5 days. Are you interested in installing a beautiful and long-lasting concrete driveway, walkway or patio? C. Jenkins Construction is here to help. We offer the comprehensive services, expert crew, and attention to detail that you need to make your installation a success. Contact us today to learn more and get your estimate!